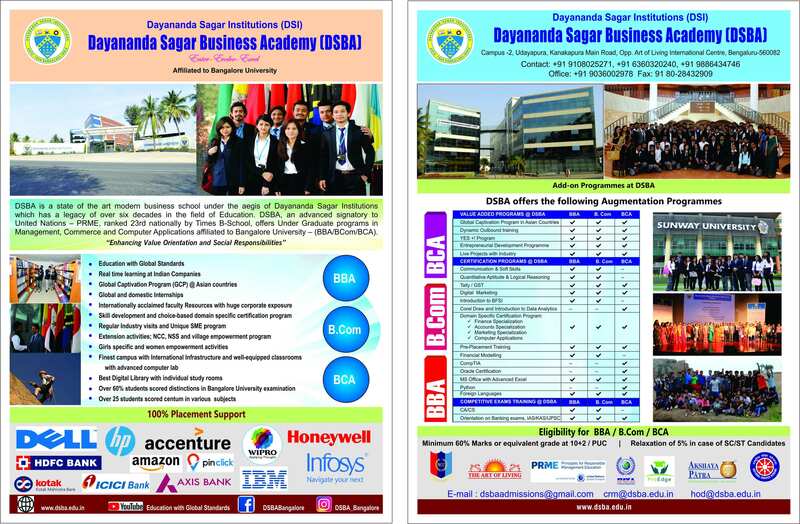 The student can apply online or directly come to Dayananda Sagar Business Academy (DSBA) campus and apply for UG programs. The student should have the following documents before start applying. Buy DD for Rs.500 in favour of Dayananda Sagar Business Academy, Payable at Bangalore./ Be prepared to make online payment/Net banking. Buy Application form from Campus or Use Online Application form. If you use online application form, fill all the details and submit the application form online, then take print out of online filled application and sign. Send the application along with documents to the following address. If you buy application directly from campus, you should fill it manually, sign and submit it in person with required supporting documents. Read the "Declaration by the applicant" in the form carefully and sign the form and get it signed by the parent/guardian. 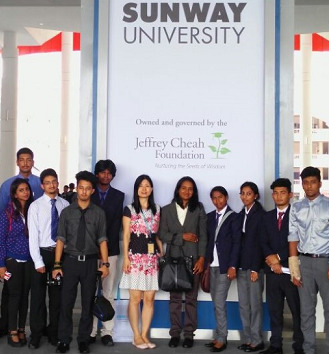 Based on the eligibility of the student admission is offered. The student must pay deposit ₹10,000 by DD in favour of Dayananda Sagar Business Academy, Payable at Bangalore in accounts department to block the seat. The student can pay rest of the amount at the time of admission. If the student is applying for educational loan, then the student will get loan Declaration statement for bank process after paying deposit amount.